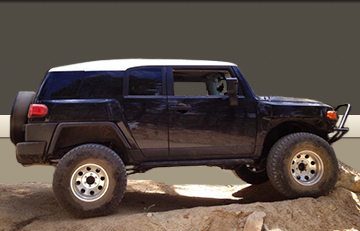 Vehicle Info: \'08 FJ Cruiser 4X4 Sandstorm, homemade sliders, 285/70/17 Hankook MT, cb with homebuilt bandi style mount, OME heavy, Warrior Products bumper w/ HF 12K winch, ARB dual compressor hard mount, etc. And a lot of great memories. Signature: Why is the sky blue? Because God loves the Infantry. General Discussion » Imogene pass mailbox, AZFJ decal added. Expeditions, trail runs, or gatherings » Camping Friday August 4th for the Border run. Expeditions, trail runs, or gatherings » Sunday funday in Tucson. General Discussion » AZFJ patches are back!